Action in the 2016 PBA Commissioner’s Cup continued to heat up last night as teams jostled for their playoff spots. 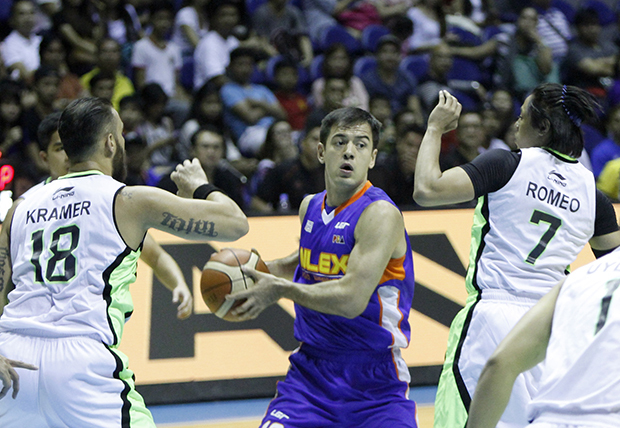 Terrence Romeo and Stanley Pringle returned to action for GlobalPort, but that wasn’t enough as NLEX still beat them. In the other game, a late miscue by Kevin Pinkney proved decisive as Phoenix fell short of upsetting Rain or Shine. 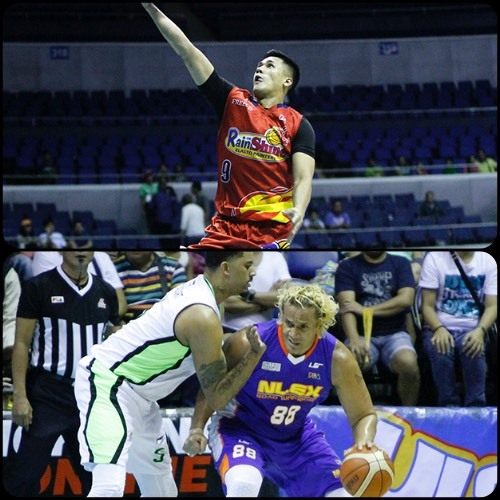 Rain or Shine sniper Jeff Chan scored 25 big points – including 19 in the crucial fourth quarter – as he led his Elasto Painters to a 109-104 Oppo PBA Commissioner’s Cup win over Phoenix on Friday at the SMART-Araneta Coliseum. Chan shot 7-for-12 (58-percent) from the field, including three triples and a pristine 8-for-8 from the free throw line, in the victory. He also had a crucial assist to import Mo Charlo in the final minute that helped seal the win. Charlo had 17 points, six rebounds, and four assists while Jericho Cruz added 16 for the Elasto Painters. Raymond Almazan also contributed a double-double with 10 points and 12 rebounds. With the victory, Rain or Shine improved to 5-4, while Phoenix dropped down to 3-6 for the conference. The Painters caught a break in the final moments of the game when the referees put a made basket from Kevin Pinkney up for review. The Phoenix import put up a shot and, while the ball rolled around and into the hoop, he made a second jump to try and tap it in, making contact with the net on his way up. That was enough for the referees to wave off the play due to offensive interference, denying Phoenix two points that could have placed them back on top. Chan then took care of two from the charity stripe to make it a three-point game, 107-104, with 16 ticks left. Almazan sealed it with two more free throws in the endgame. Willie Wilson finished with 21 points, while Kevin Pinkney and RR Garcia both had 20 for Phoenix. The NLEX Road Warriors made it back-to-back wins after it took care of business against struggling GlobalPort, 110-105, in the Oppo PBA Commissioner’s Cup on Friday at the SMART-Araneta Coliseum. NLEX drew another big game from import Al Thornton, who finished with 33 points, 19 rebounds, 6 assists, and 2 blocks, but also got some huge contributions from its locals. Sean Anthony scored 21 points, while Kevin Alas added 18. The pair combined to hit nine three-pointers between them with Alas going a perfect 5-for-5 from long range. Sean Anthony had another strong game for NLEX. 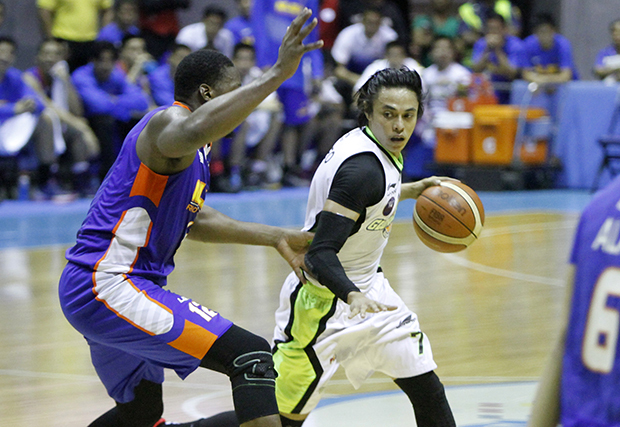 Terrence Romeo returned to action and put up big numbers, but GlobalPort still fell short. Three other Road Warriors reached double-figures, led by veteran center Asi Taulava, who logged 13 points and nine rebounds. Jonas Villanueva and Garvo Lanete each tallied 11 apiece. NLEX, as a team, hit 17 three-pointers at a 45-percent clip with four different players hitting three or more as they improved to 5-4, tying Tropang TNT, Barangay Ginebra and opening game winners Rain or Shine for the fourth to seventh places. Terrence Romeo led GlobalPort with 27 points – including 8-for-13 (61-percent) shooting on threes but that wasn’t enough for the Batang Pier on this night as they dropped a fifth consecutive game to sink deeper into last place with a 2-7 mark. Al Thornton (NLX) - 33pts, 19rebs, 6asts, 2blks, 2 triples. Terrence Romeo (GLO) - 27pts, 5rebs, 5asts, 1stl.